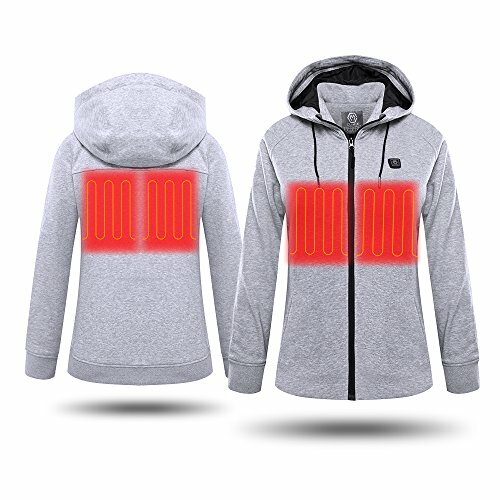 In 50℉, the battery will last for nearly 13.5 hours in LOW, 9.5urs in MID, or 6 hours in HIGH. Yes, we use carbon fiber with high fire point, more than 1800℉, which is extremely hard to ignite. Besides, our battery has MCU smart protection system and shortcut protection to completely eliminate potential risk. Ligthweight & Soft: Well-made polyester as the outer shell with extremely comfortable texture. Comes with battery and charger, can be use up to 12 hours on low setting.